1.Advances in research on Bursaphelenchus xylophilus and its key vector Mono chamus spp. 2.Preliminary dissertation on the damage and management of the urban wasp pests. 3.Physiological activity of insect antibacterial peptides and its application in t ransgenic research. 4. Progress in research on peritrophic membrane of insect. 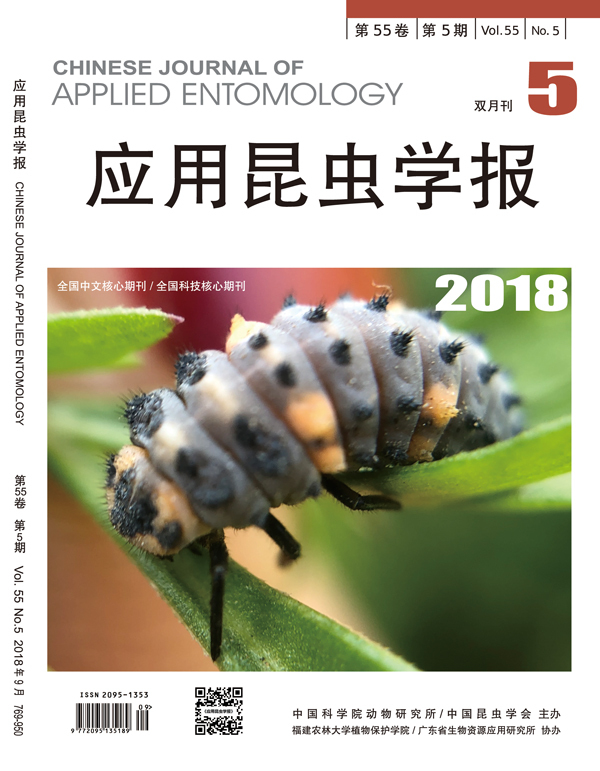 5.Current status of research on orthopteran cytotaxonomy in China. 6. Research advances on insect appendage regeneration. 7.Preparation and identification of the polyclonal antibodies from recombinant cat hepsin B. 9.The distribution of eggs of the second generation of cotton bollworm on the tom ato and its sampling technique. 10.Bionomics and control techniques of Gibbovalva urbana. 11.Bionomics and control of Phyllonorycter lonicerae. 12.The preliminary study on geohistory of Dendrolimus punctatus and its host pl ants, Pinus spp. 13.Influence of feeding experience on the longevity and fecundity of Liriomyza sa ti vae female adults. 14.Field evaluation of preference of Bemisia tabaci biotype B to different vege table varieties. 15.Susceptibility of Macrosiphum avenae and Rhopalosiphum padi to imidaclop rid. 16.Rearing method of the adults of Episyrphus balteaus in the laboratory. 17.A preliminary report on natural enemies of Parlatoria pergandii in the central part of Yunnan Province. 18. Comparative morphology of three chrysomelid pupae. 19.Spatial pattern of overwintering pupae of Micromelalopha t roglodyta. 20.Observation on the bionomics of Papilio demoleus in Guangzhou. 21.Bionomics and control of the yellow tea thrips, Scirothrips dorsalis infesti ng litchi. 22.A taxonomic key hyperlinked to images. 23.Computing the day length for programming insect behavior.